A huge bestseller in England, France, and Australia, the fourth book in the Ari Thor thriller series from a spectacular new crime writer. Hailed for combining the darkness of Nordic Noir with classic mystery writing, author Ragnar Jonasson’s books are haunting, atmospheric, and complex. 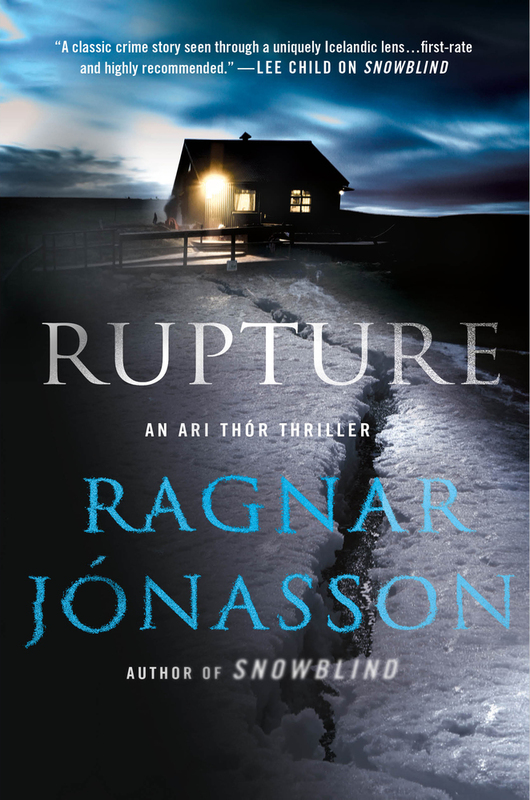 Rupture, the latest Ari Thór thriller, delivers another dark mystery that is chillingly stunning with its complexity and fluidity. Young policeman Ari Thór tries to solve a 50-year-old murder when new evidence surfaces. But the case proves difficult in a town where no one wants to know the truth, where secrets are a way of life. He's assisted by Ísrún, a news reporter in Reykjavik who is investigating an increasingly chilling case of her own. Things take a sinister turn when a child goes missing in broad daylight. With a stalker on the loose, and the town in quarantine, the past might just come back to haunt them. RAGNAR JONASSON was born in Iceland and works as an Attorney at Law and writer in Reykjavik. Before embarking on a writing career, Ragnar translated fourteen Agatha Christie novels into Icelandic. Ragnar is the co-founder of the Reykjavik international crime writing festival Iceland Noir. He has appeared on panels at various crime fiction festivals, including Bouchercon and Left Coast Crime in the US. Ragnar lives in Reykjavik with his wife and two daughters. Rupture is the fourth book in his Ari Thor thriller series.